Rajvinder Dhamrait is not currently accepting new patients. For assistance finding a UC Davis doctor, please call 800-2-UCDAVIS (800-282-3284). Dr. Dhamrait is the Director of Pediatric Anesthesiology in the Department of Anesthesiology and Pain Medicine and is the Medical Director of the Children's Surgery Center. He completed 7 years of anesthesia training in the UK, including a fellowship in pediatric anesthesia, and joined the department in 2006. He administers anesthesia to neonatal and pediatric patients scheduled to undergo a wide variety of surgical and radiological procedures at UC Davis Children's Hospital, including complex congenital cardiac surgery. 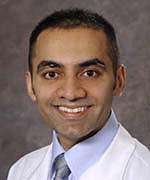 Dr. Dhamrait is active in the training of pediatric anesthesia fellows, anesthesiology and pediatric residents, and medical students, and is active in clinical research. Dr Dhamrait also provides anesthesia services for adult patients. Dhamrait RS and Tumber SS: Surgery for Chest Wall Deformities, Raff G and Hirose, S, (ed), Anesthetic Considerations for Chest Wall Surgery, Springer International Publishing, Cham, Switzerland. 33-45, 2016. Dhamrait RS: Book 32: Anesthesia for Pediatric Cardiac Surgery, Lockman JL, (ed), Pediatric Anesthesiology Review Topics (PART), Naerthwyn Press, LLC, Narberth, PA, 2013. Dhamrait RS: Book 18: Pediatric Cardiovascular Diseases for the Anesthesiologist, Lockman JL, (ed), Pediatric Anesthesiology Review Topics (PART), Naerthwyn Press, LLC, Narberth, PA, 2013. Dhamrait RS. Fasciotomy following intravenous fluid infiltration. Pediatric Anesthesia, 16(10):1097, 2006. Way C, Dhamrait R, Wade A, Walker I. Perioperative fluid therapy in children: A survey of current prescribing practice. British Journal of Anaesthesia, 97(3):371-9, 2006. Dhamrait RS. Airway obstruction following potassium permanganate ingestion. Anaesthesia, 58:606, 2003. Dhamrait RS. Anaesthetic equipment ? Familiarity is comforting, but check it. Anaesthesia, 58:482, 2003. Dhamrait RS. Christmas trachys, Anaesthesia, 57:508, 2002.